If you're a Celtic rock band there is no better time of year to release a new album than just before St. Patrick's Day. LA's The Young Dubliners hope to capitalize on that magical day as the release their ninth studio album, thoughtfully titled Nine (out March 4th). Those hoping that Nine would provide a fresh batch of songs with which to celebrate the day will be a bit disappointed. These songs are far more along the pop rock lines than they are raucous Dropkick Murphys or Pogues-style party/drinking tunes. The mid-tempo ditties "We the Mighty" and "Say Anything" are pleasant, catchy pop numbers, but they bear only the most vague tinge of Celtic influence. "The Deep" has a bit of twang, but ultimately is closer to a country rock song than a Celtic one. When the tempo slows, the tunes get hard to listen to. "Rain" is akin to some of Great Big Sea's most earnest and banal ballad offerings. "One Touch" has all of the edge of a '90s television sitcom theme song. The closer "Only You & Me" is easily forgettable. We do get a short string of danceable cuts that would require a bit of a fleet foot. "Seeds of Sorrow" is a solid jig, and the traditional instrumental "Abhainn Mor" is not far behind. The manic banjo-plucker "Fall" rounds out the trio. Nine turns out to be an inoffensive Adult pop rock record, but it certainly won't yield any leprechaun ear gold for the green beer swilling crowd. Best tracks: "Seeds of Sorrow", "Fall"
Interesting review - but it seems the writer is upset that the album isn't more Irish (or as Irish as he wants it to be) and that this band isn't Dropkick Murphy's or the Pogues. The result is a tainted review - reviewing the album for what it is not as opposed to reviewing it for what it is. I must also note that it's ironic that the writer suggested that DKM is much more raucous considering that they completely ripped off the Young Dubliners version of Rocky Road to Dublin (YD released their version in '93 before DKM even formed - they eventually recorded and released Rocky Road in '01). I've been listening to this album for several months and would suggest giving it a 2nd and 3rd listen and see how it evolves for you because reading your review makes me question if we are listening to the same album. You didn't care for Only You and Me and I really enjoy it - I get it, we have different tastes in music and that's cool...it takes all kinds to make the world go round. But you stated that We the Mighty is a mid-tempo dittie and I find it to be the quickest tempo on the album. I can't say what the exact bpm is but I'm certain that it exceeds the standard 123-140 bpm for a medium tempo song. You also stated that The Deep was closer to a country song than a Celtic song. I don't hear any country in that at all - but as I stated earlier, you seem upset that this album isn't more Irish so I can see how one would make a comment like that. But, again, it's not really fair and just to review an album for what it is not. I believe that one should view and evaluate their music the same as U2 or Van Morrison or Thin Lizzy - rock bands that happen to be from Ireland but don't play traditional Irish music. To compare them to DKM and the Pogues isn't really an accurate comparison - those are punk bands who are never confused to be in mainstream rock/pop categories. I'm not saying you are wrong in your review - you have your opinion and that's your reality. I'm just suggesting to listen again without the preconception that this album should meet a certain degree of "Irishness." 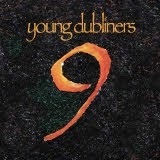 The Young Dubliners are an rock/pop band with a couple of Irish guys in it and they draw from their Irish influences but their focus has always been rock/pop (their album of Irish covers not withstanding). Feel free to "verbally bitchslap" (as the warning above this response box states you might do) me if you must. But I believe I wrote this respectfully and without malice...only respectful disagreement for the approach you appeared to have taken to reviewing the album.